NEWBERRY, JULIA ROSA. Young Chicagoan. Daughter of Walter L. and Julia Butler Newberry of the wealthy and distinguished “Newberry lot.” The family traveled to and from Europe, stopping in New York to visit friends and relatives. Julia’s description of a society wedding, in which her older sister was a bridesmaid, is so vivid as to leave a reader feeling that he is a member of the bridal party. 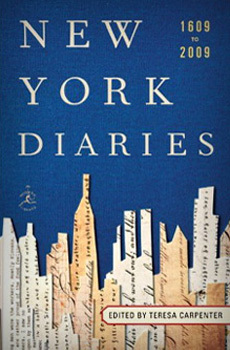 Published as Julia Newberry’s Diary. New York, W. W. Norton & Co., Inc., 1933.